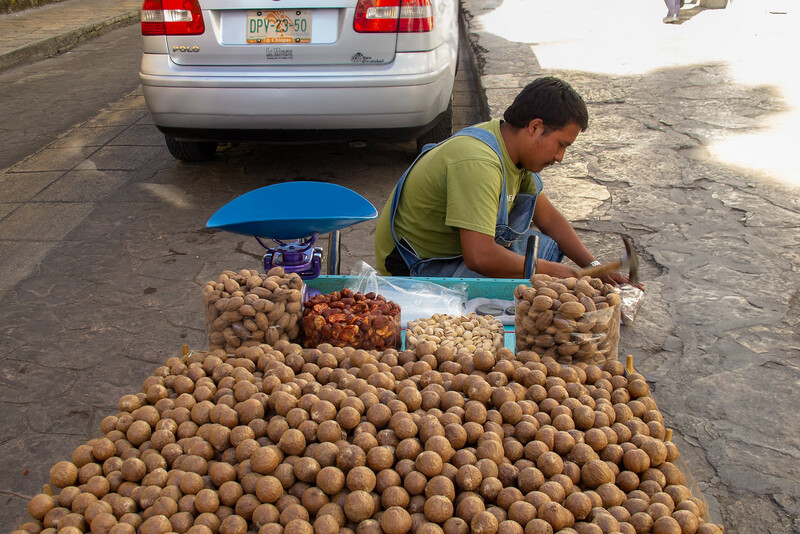 Nut’s are a major export from Chiapas, Mexico consequently they are available fresh on the streets. Fresh buttery macadamias, delicately flavored cashews and many other nuts are available almost at the front door from street vendors. Some are fresh, some are salted and some are roasted and spiced but they are all delicious. 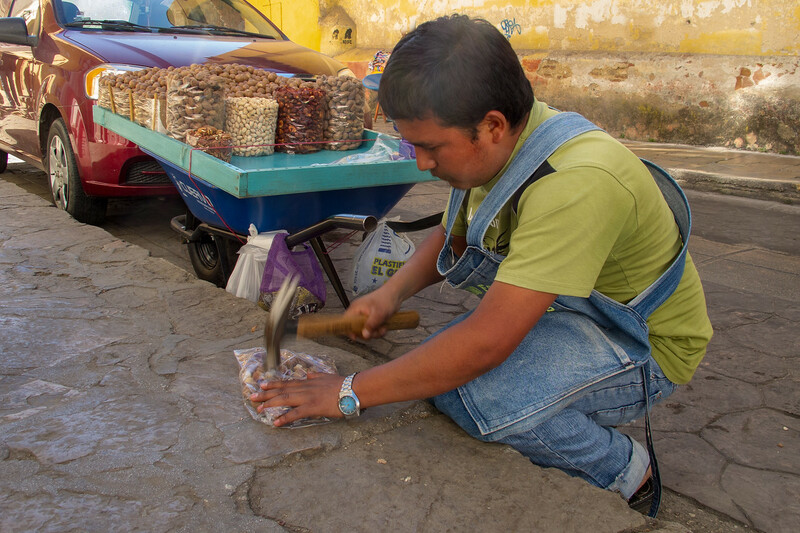 This guy breaking the shells of the macadamias adds a whole new dimension to street food.